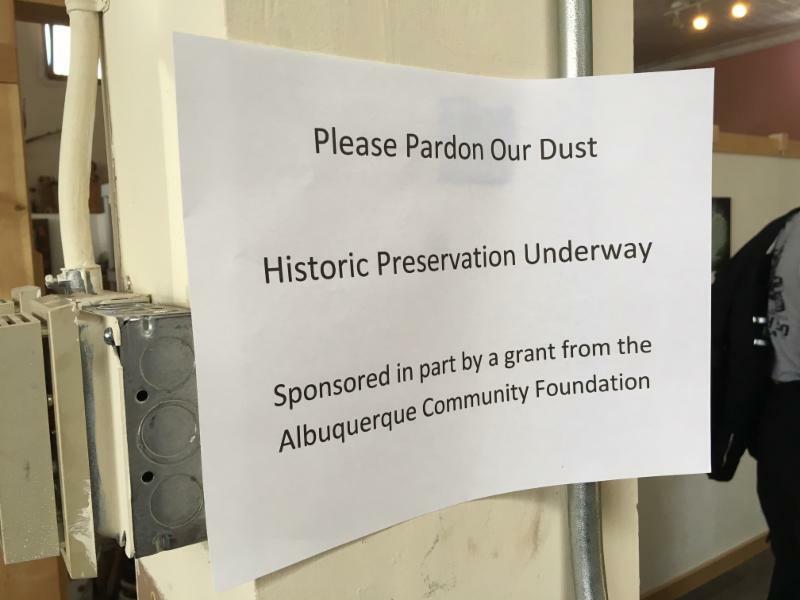 The Manzano Mountain Art Council received a Historic Preservation Grant to help restore the Mountain Arts on Broadway Art and Community Center. The building, built in the early 1900's, holds art studios, educational programs, business meetings, workforce development seminars, and performing and visual arts events. The Foundation's grant has been used in part to install a state-of-the art lighting system, preserve the historic tin ceiling and develop a rain catchment in the garden. 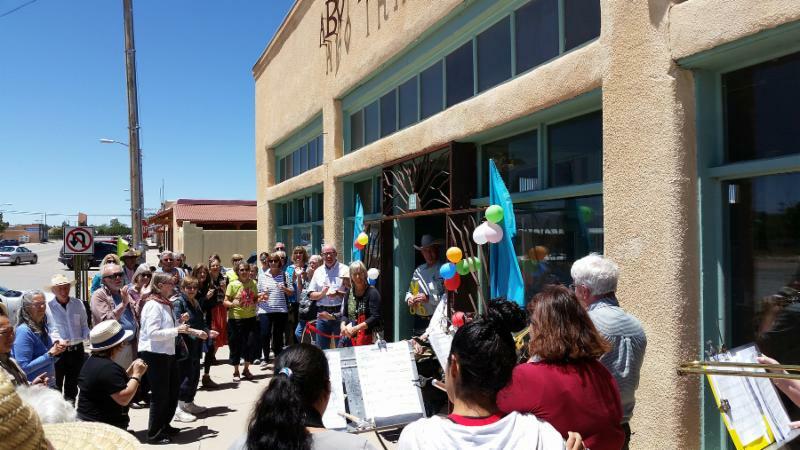 On May 21, the Manzano Mountain Art Council hosted the building's grand opening with a community ribbon cutting ceremony. In attendance were the Council's President, Anne Ravenstone, Vice President, Kent Potter, Mayor, Chester Reilly, and Representative Matthew McQueen. Most recently, on August 26, the building hosted the Sunflower Festival opening night wine tasting event with over 100 residents celebrating the start of the weekend festivities. In the following days, the building was used as an exhibition space to display and sell work from dozens of local artists. Click here to learn more about the upcoming events and programs at the Manzano Mountain Art Council.